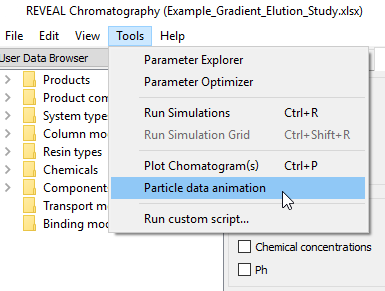 If a specific simulation’s chromatography is needed rather than chromatograms from all simulations together, users can right-click on the desired simulation in the Study Data browser, and select Plot Simulation. Note that all of these plots are synchronized, such that zooming in one of them leads to zooming in all of them, so that time alignment is easier. See below about the zoom and other tools. 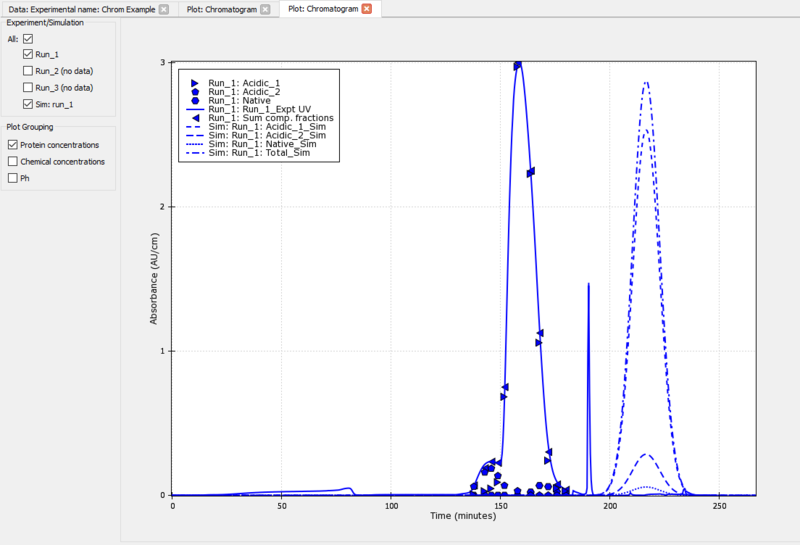 Highlighting and shadowing the same component across simulations may help users to visualize the effect that different values of a given parameter are having on simulations and their resulting chromatograms. 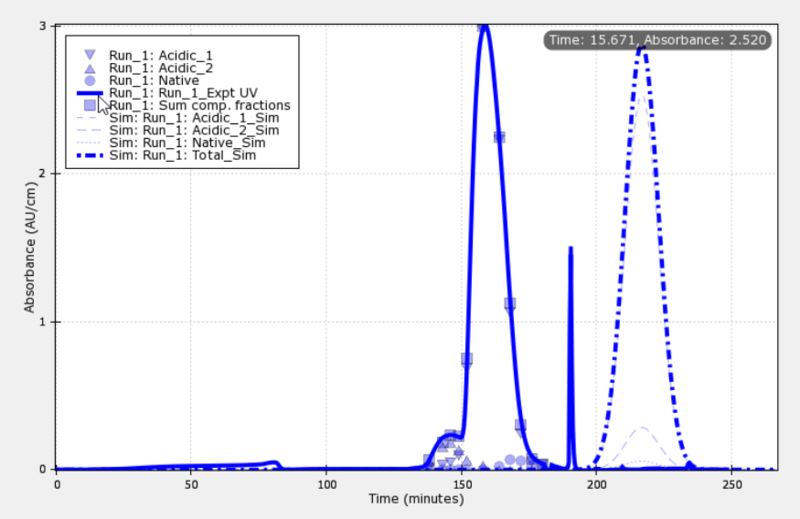 The scroll function on a mouse or track pad can be used to zoom in and out of particular areas on the chromatogram. The plot can be panned around, by clicking, holding the mouse and moving it to adjust what portion of the plot is visible. To reset the zoom, press the Esc key. 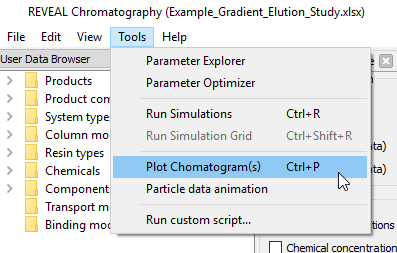 After creating the box, Reveal Chromatography will automatically zoom in on the specified area. To reset the zoom, press the Esc key. 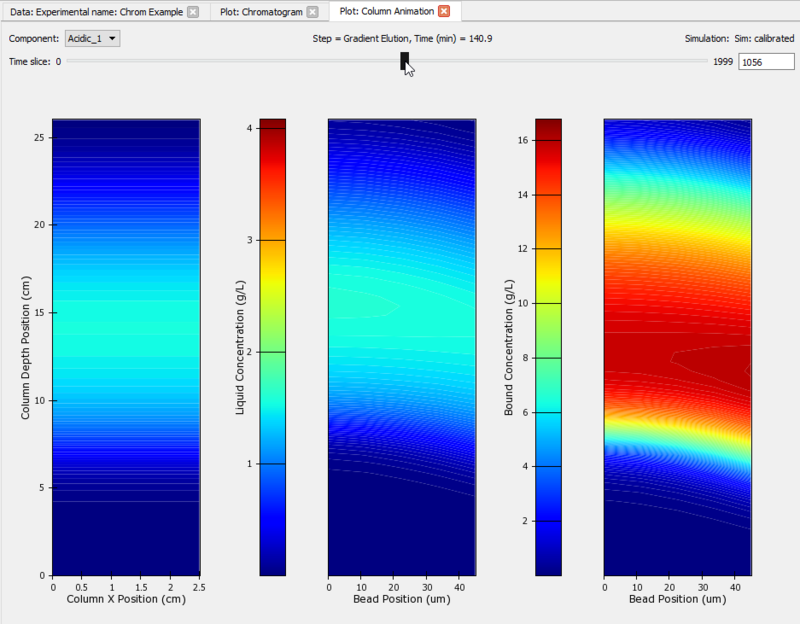 For information on plotting a the results of a simulation grid, see Plotting the grid’s simulations. For information on plotting the results from the Parameter Optimizer, see Plotting the optimized solutions. 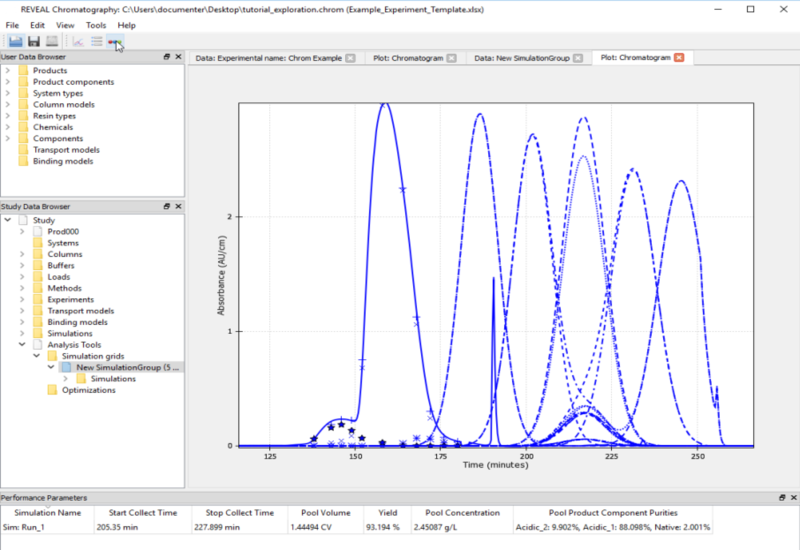 Reveal Chromatography has the ability to create a visualization of the flow of product components through the column with the particle data plot. 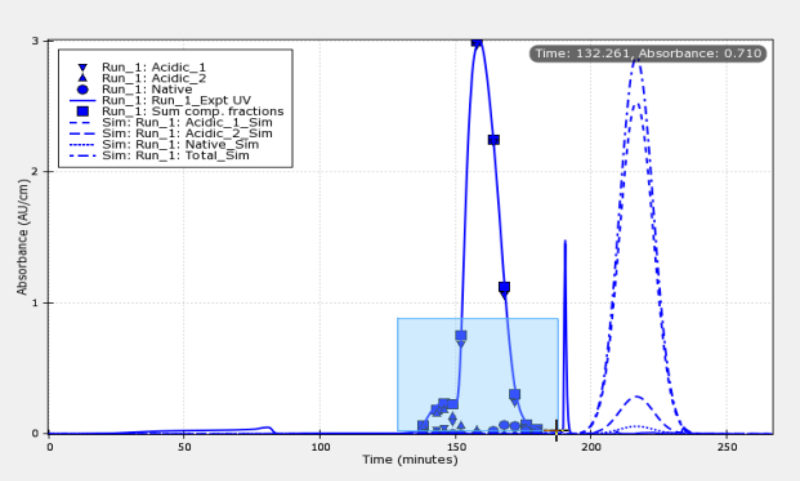 Reveal Chromatography utilizes the CADET solver to calculate the concentration of the product components over every time slices the simulator solved. 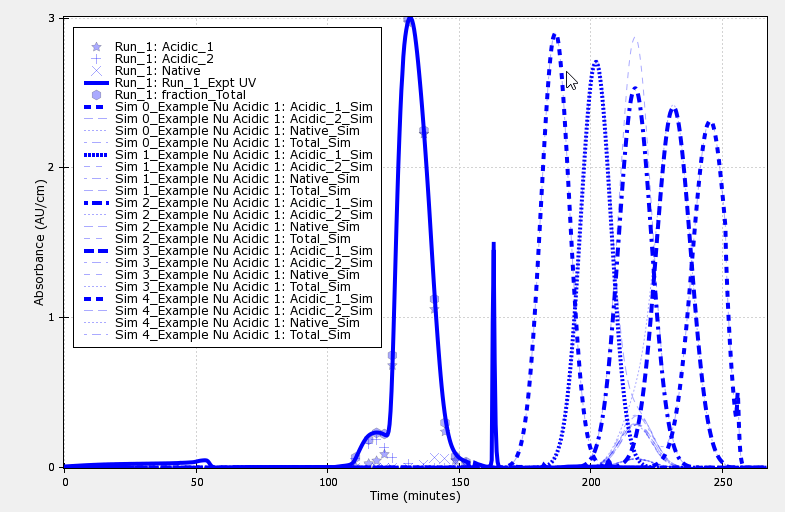 The particle data plot can show the concentration of each product component in both the columns and the beads. 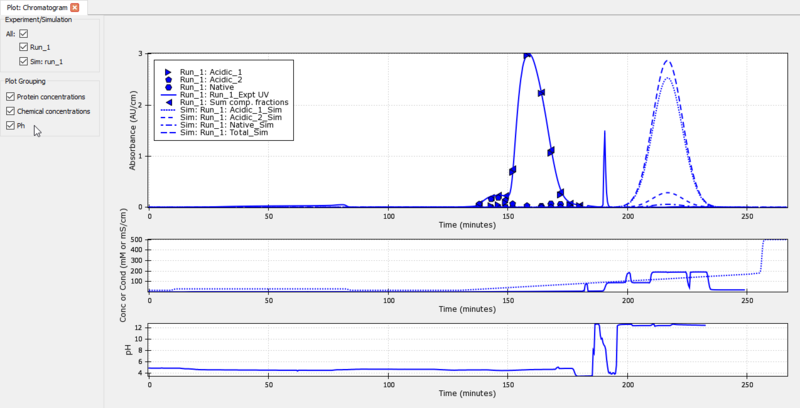 Use of the particle data plot can help to better understand both column and bead utilization. A new, small window will open. 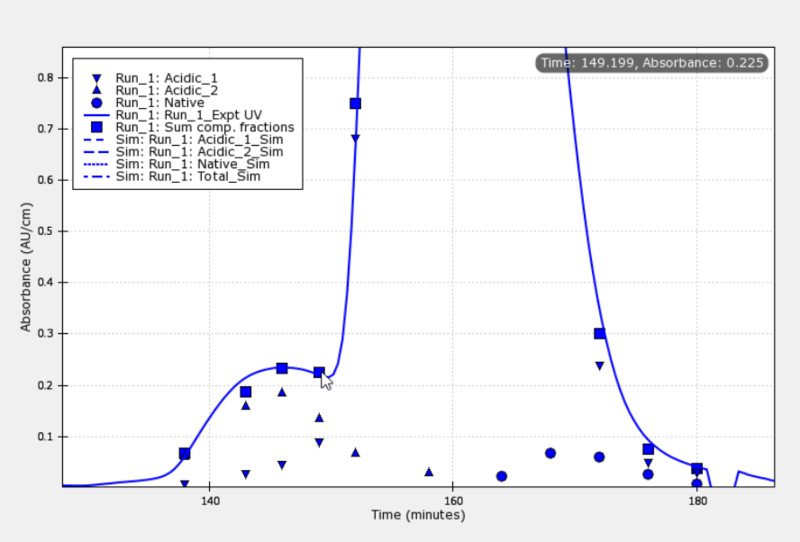 Select the simulation from which Reveal Chromatography should produce the plot and press OK.
Users can also adjust the time slider at the top of the plot to navigate through different time slices, and see how the select component loads in the column, propagates into and binds to the bead, and finally elutes.